OK Go have a new album, Hungry Ghosts, and, whenever there’s a new album, there is also a new video – in this case for their new single, I Won’t Let You Down. The new video was shot in Japan’s Chiba Prefecture in August – directed by Kazuaki Seki and the band’s Damimian Kulash. OK Go begin a world tour March 21st, 2015 will also make three special appearances prior to that: on Late Night with David Letterman (November 11th); October 29 Q&A/performance at Los Angeles’ GRAMMY Museum®, and a November 14 appearance at the Fitzgerald Theater in St Paul, MN with comic Hari Kondabolu on NPR’s Wits. Check out the video after the jump. OK Go and The Muppets ReJig The Muppets Theme! 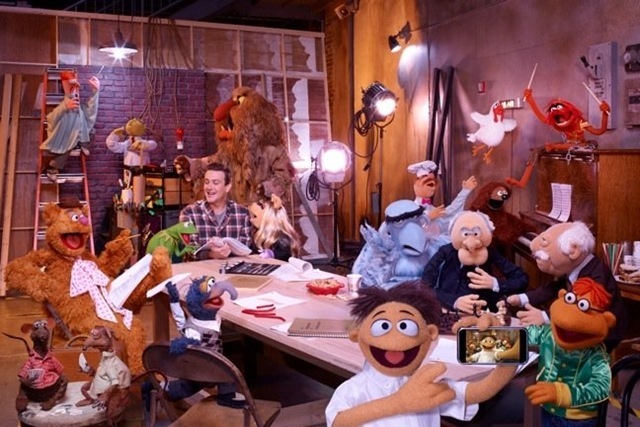 With the movie The Muppets only three months away, OK Go – noted for quirky songs and even quirkier music videos – has teamed up with the Muppets for a new take on The Muppets Theme [and a trip through their prior videos]. It’s a marriage of mutually beneficial quirks that just works. Check out the video following the jump.